2010 © 1984 MGM/UA Entertaunment Co. All Rights Reserved. Package in U.S.A. with certain materials of foreign origin as specified therein. Greetings, Major. This is Commissioner Thomas Charles from the United Nations Space Commission. During your voyage aboard the Leonov to Jupiter, I'll be your contact here at Mission Control. Hope you have a smooth trip. Well, now to the job at hand. As you know, on its maiden voyage ten years ago the Discovery's crew disappeared and the abandoned ship has been orbiting Io, a Jovian moon, ever since. Our most recent data indicates that the Discovery's orbit is decaying and that without repairs the ship will crash into Io. Your mission is to get the Discovery spaceworthy and out of Io orbit by repairing and powering systems' circuits-- Life Support, Communications, Engines, and Reactor --and repairing and powering the HAL 9000 computer. 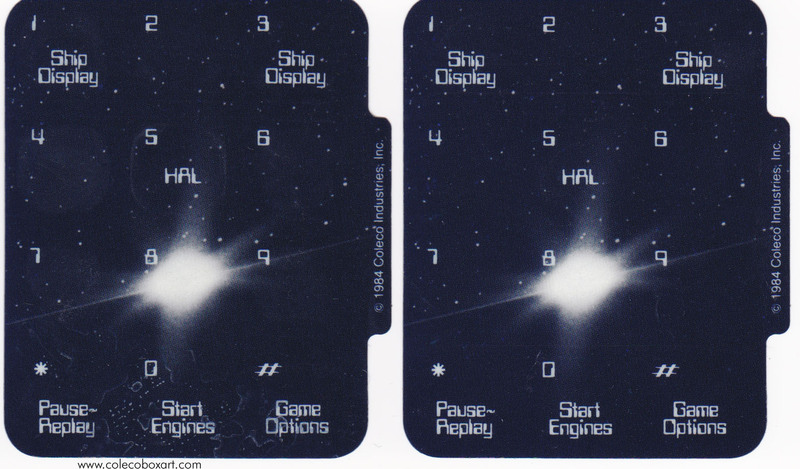 Once HAL is up and running, you'll have his assistance in powering up other systems' circuits. I'll be transmitting data to you from time to time during the mission but, except for that, you're on your own out there. Next transmission: telemetry. Commissioner Thomas Charles, United Nations Space Commission out. 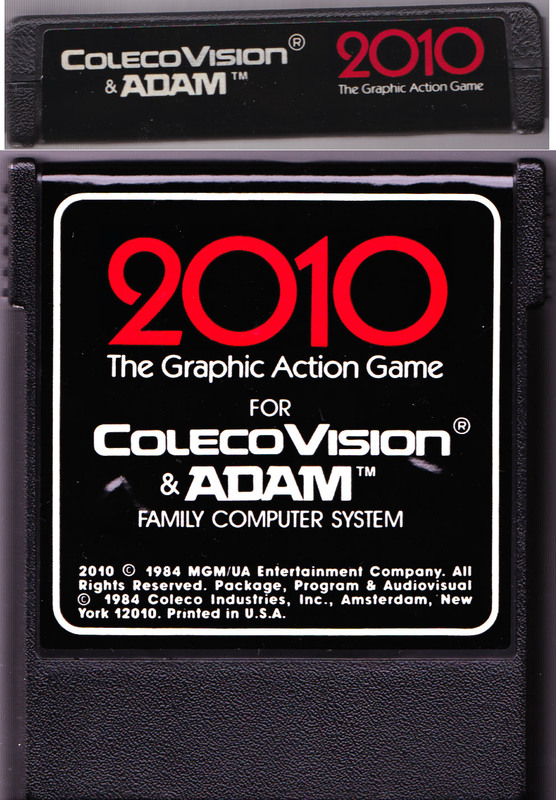 The principal designer was Coleco staffer Thomas Fulton. 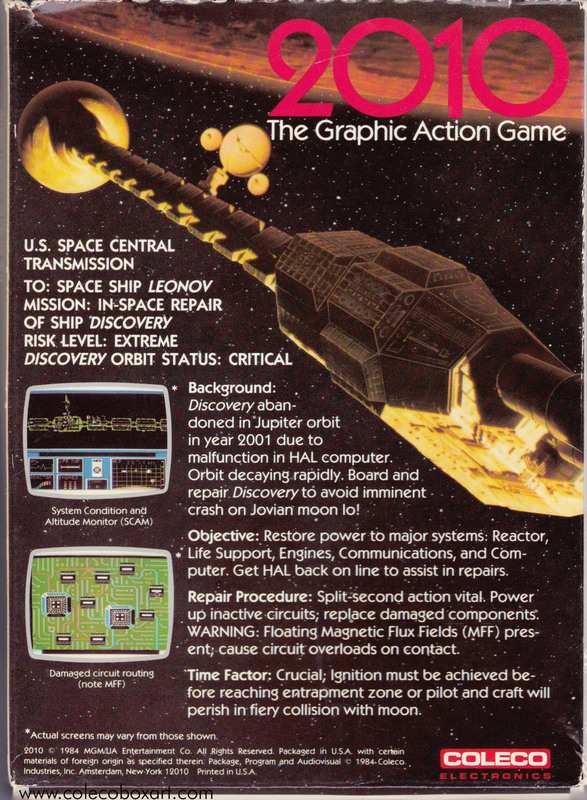 The HAL circuit portion of the game was designed by Rob Harris, a programmer at Coleco at the time. Jim Wolf and two colleagues included an easter egg in the game which causes their names to scroll across the screen. To see it, power up all 5 communication circuits in skill level 5 before powering up any other circuits, then squeeze both firing buttons simultaneously. 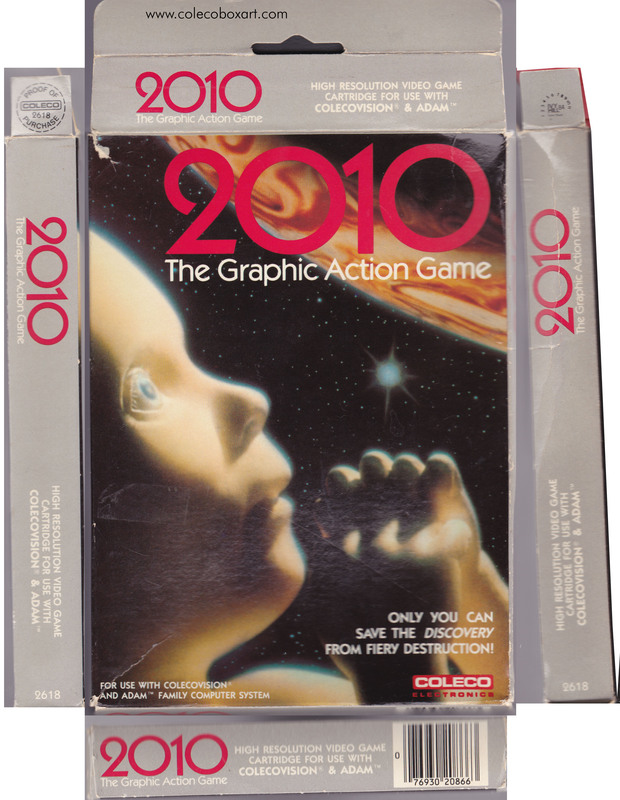 In 1985, Coleco released another game based on the same 1984 science fiction film: 2010: The Text Adventure Game for the Coleco Adam Computer.